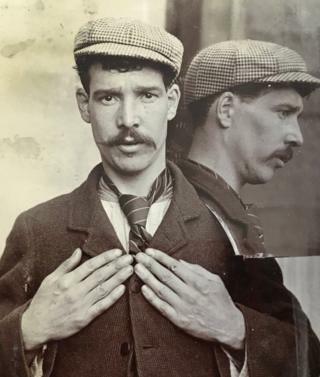 Have you ever wanted to come face-to-face with a Victorian robber? 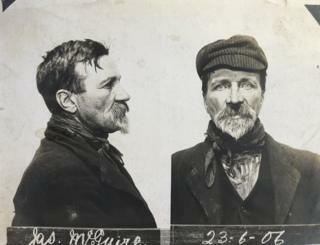 Mug shots of Scottish criminals taken from 1870-1917 are going on display in Edinburgh for the first time. 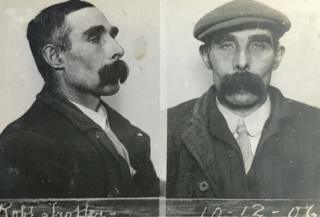 The "Rogues Gallery" includes a cast of robbers, fraudsters, embezzlers and petty thieves from more than 100 years ago. The free exhibition runs from 25 October - 1 December at the National Records of Scotland, General Register House, Princes Street. The display also features case papers from the 1878 trial of infamous poisoner Eugène Chantrelle, believed to be the inspiration for the character Dr Jekyll in Robert Louis Stevenson's The Strange Case of Dr Jekyll and Mr Hyde. 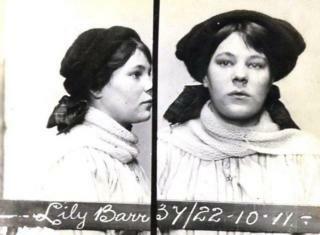 Lily Barr, 17, was born in Wishaw and charged with theft in 1911. 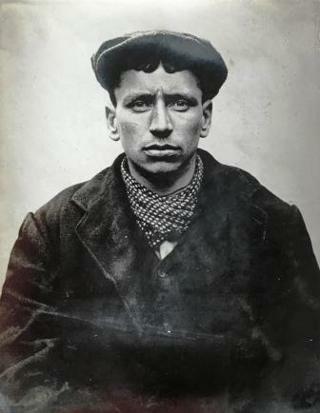 James Donovan, 25, was born in Mauchline and faced charges of pickpocketing, assault and larceny in 1901. Elizabeth Stewart was charged with falsehood, fraud and "viceful imposition". 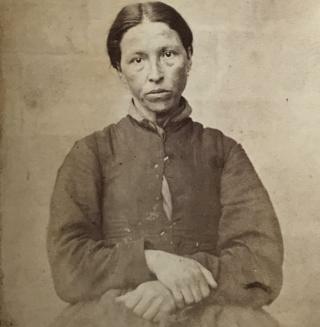 Photo taken in 1873. 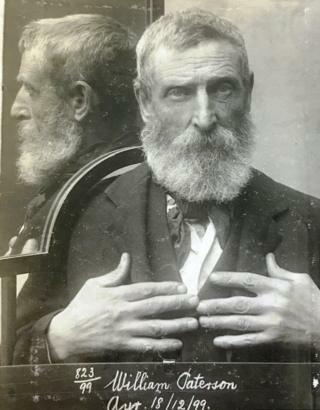 James McGuire, aged 62 and born in Ireland, was charged with theft in 1906. Thomas Queen was born in 1887 in Uddingston, near Glasgow. He was charged with several offences, mostly theft and robbery, in 1910. 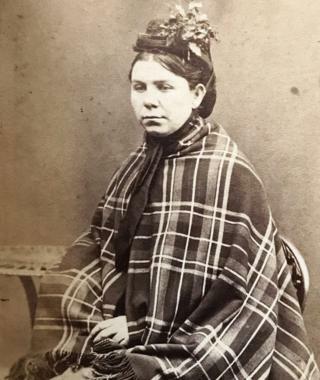 Joan McLean was charged with theft in 1874. Ironmonger Willam Paterson, 58, who used the alias John McDonald, had 10 previous convictions when he was photographed in January 1900.